Are you looking for a fun way to personalize your helmet? 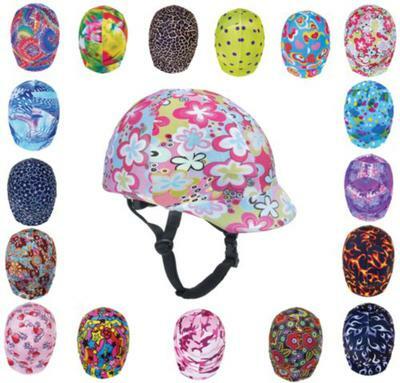 The Zocks Print Helmet Cover by Ovation is it - and it comes in so many different awesome styles! You can find just about any color you want, it all kinds of different pretty prints. I think they are so cute. Plus the help protect your helmet so you can keep it looking great for the show ring.